Wouldn’t it be great to have your own “edit key” on your computer? How can the basic rules of grammar or spelling downloaded into a software package cover all the exceptions to the rules in language and enhance the quality of the writing? It is not possible. Technology cannot grasp ideas and concepts; nor can it recognize the effectiveness of an argument to convince someone to buy, sell, invest, fund a grant, or use your company. There is no way a machine can determine the feasibility of a fictional plot. It cannot keep track of consistency, clarity, or accuracy. Software certainly doesn’t know the twists and turns of your storyline or the research that only a person can select to support facts. A computer does not have the imagination to create stories and fantasies. One example of spell/grammar-check or editing software is that it won’t highlight a word as long as the term is in the dictionary, whether it makes sense or not. How many times have you seen “from” as “form” in printed media? Probably a lot, and the list of misses on editing/reviewing software goes on and on. It can be your best friend or your worst enemy. 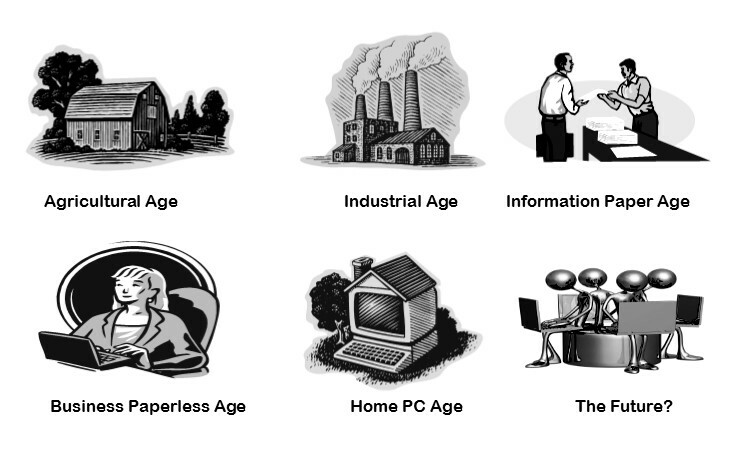 The human element cannot be replaced by technology. How many people realize that the little blue underline on WORD that supposedly points out grammatical errors appears when there is, perhaps, another way to present the same material? In other words, your writing may not be wrong at all or it could be showing you there is a valid mistake. That is what the human being can determine and the computer cannot. Use spell/grammar-check as a guide and look at what is highlighted in your writing, but take it with a grain of salt … or maybe a pound of salt. It gets really upsetting, however, when WORD or another software program changes a word automatically after you’ve typed it. Many times it can be helpful, but many times it can totally augment the meaning of what you’re writing. Verb tenses are difficult for ALL writers, including myself. We think in present tense, but we write in a variety of tenses, including third-person past. I leave the verbs for my last rewrite, and I’m always surprised at how many verbs need to be changed. This brings me to the rewriting/editing/proofreading process. My antiquated computer graphics is not near as antiquated as the books and especially the pencils and erasers in the cup. How I wish the pencils were red! I use a combination of traditional skills and new computer skills to write, edit, design, and format all types of printed media, including book manuscripts. As a fiction author myself, I enjoy many genres of books to edit, proofread, and review, including nonfiction, but I can’t edit or proofread my own writing successfully. I need another human being to see what my eyes will not notice, even though my eye has been educated and trained for many years to pickup on “glitches”. If you write or even type something, it becomes engrained in your brain, basically memorized. It is an organic, biological function of your gray matter. It is something we in the present evolution of humankind cannot change. In the future, perhaps? But then, would we be more machine than human? When you try to edit/proofread what you have written, your eyes see what they expect to see. You read over errors, typos, and other editorial problems. You can be reading it aloud–which I suggest so that you can hear discrepancies and determine if the writing flows smoothly–and actually say the word that you think is there, not the word that is in print. Mind boggling, but it is a biological fact. The brain is like a computer (probably the old computer that I pictured above, depending on your age)–data in/data out–good, bad, or indifferent. Have you ever noticed that a person misspells or mispronounces the same words all the time? It was initially engrained in the brain that way so it’s what comes out. The more times you use a term incorrectly, the more engrained it becomes; therefore to you, it sounds and looks correct. Our minds, which are more connected to our conscious, unpremeditated thoughts, allow us to change what is engrained in the hard drive of our brains. You can change your mind, but not the organ which is your brain. The important principle I want to point out is you should never be upset with yourself if someone else finds an error in your writing. It is not your fault; it’s human nature. To prevent this from happening, rely on a human being, preferably an editor who knows the rules and especially the exceptions to the rules for writing, spelling, grammar, punctuation, correct phrasing and terminology, and the correct tense of verbs. This is referred to as a copy editor. A further step to make your writing the best and most professional it can be is to work with a content and development editor. Believe it or not, there are rules on how a piece should be written. In overly simplistic form: a theme, definition and support of the theme, and a conclusion. Having a plan to follow keeps you from writing yourself into a corner (writer’s block) or writing in circles (long, drawn-out passages with no action or support to the theme/plot). It’s very frustrating to know where you want to go with a writing project and not have a roadmap to get there. Even though I have done all levels of writing and editing, from simple copyediting and proofreading to complete ghost writing, I can write myself into a corner or wander in circles just like anyone else. And I do believe the hardest thing for any writer to do is to cut their own words, but it is necessary to weed out the extraneous material that can confuse or lose your readers. Write in chapters, sections, or all the way through, depending on how your mind works best. Put it aside for as long as you can, from a few days to a few weeks. You might even want to work on something else to allow your brain to switch gears. Read the material, correcting as many editorial problems as you can find; rewriting awkward phrasing or passages that could be misunderstood or ambiguous; look for discrepancies–Have you ever read a book where the character’s name changes halfway through the manuscript?–and don’t be afraid to cut, cut, cut if it does not support the theme, advance your plot, or add to the story/mission of the writing. Description: I personally love poetic prose, but it can be overdone. Read your descriptive passages with a eagle eye, keeping what sets the scene or mood. If you have a descriptive passage, be sure and follow it with an action passage. If you have a ghastly, disturbing scene, follow it with something a little lighter, but keep it real. Some articles or manuscripts have to have disturbing revelations because it is the truth of the matter–be it in fiction, nonfiction, or any other media. 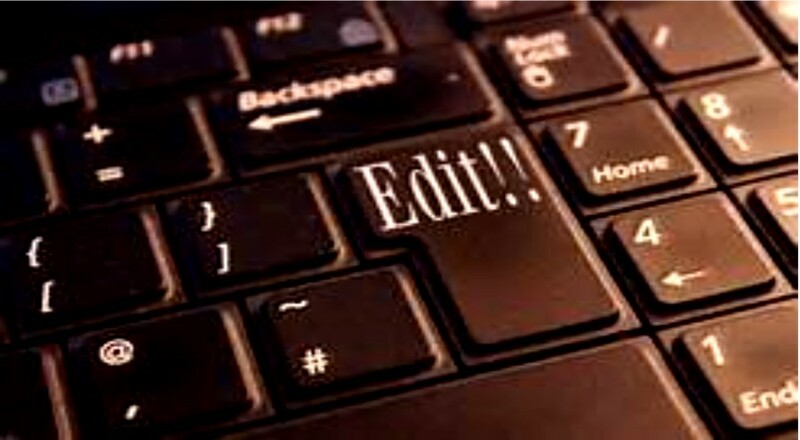 Editing: Now is the time for an editor. Always submit in double-spaced format. Very early in the manuscript, an editor will be able to tell you what level of editing you need–from copy editing to a massive rewrite to sending it back and telling you that it isn’t ready for editing yet. Hopefully, the editor will give you some suggestions or in all kindness, let you know if the writing field is not for you. I, personally, do a gratis reading of the first chapter or a single chapter of your choice to ascertain these issues. 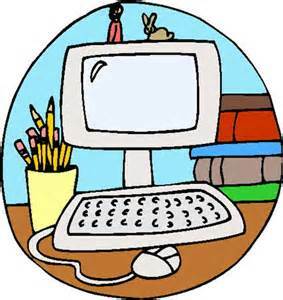 Proofreading comes last, after formatting has been done, and is read only for typos and errors. I know it sounds like a long process, but there are no shortcuts to literary acceptance. Editing, writing, ghostwriting, design and formatting is very satisfying … watching someone else’s piece grow, evolve, and reveal the talents, skills, and feelings of other writers brings a silent joy to an editor’s heart. Watching another writer learn and accept the various truths of this challenging industry, their confidence growing and expanding with every verb tense that finally falls into place or the beauty of a crisp, new book … their own. Few achievements can surpass the excitement of reading or seeing your own words in print, knowing you’ve given your all and have shared your uniqueness with the world. Editors help others spread the knowledge of their expertise, give the gift of drama, and the balm of fiction. Reading is universal, mind-expanding, calming, exciting and just plain fun. I love a book that’s been researched well. I want the story, the plot, the fiction, but give me something new to experience, learn, digest. When I read I want to be challenged, intrigued, surprised! 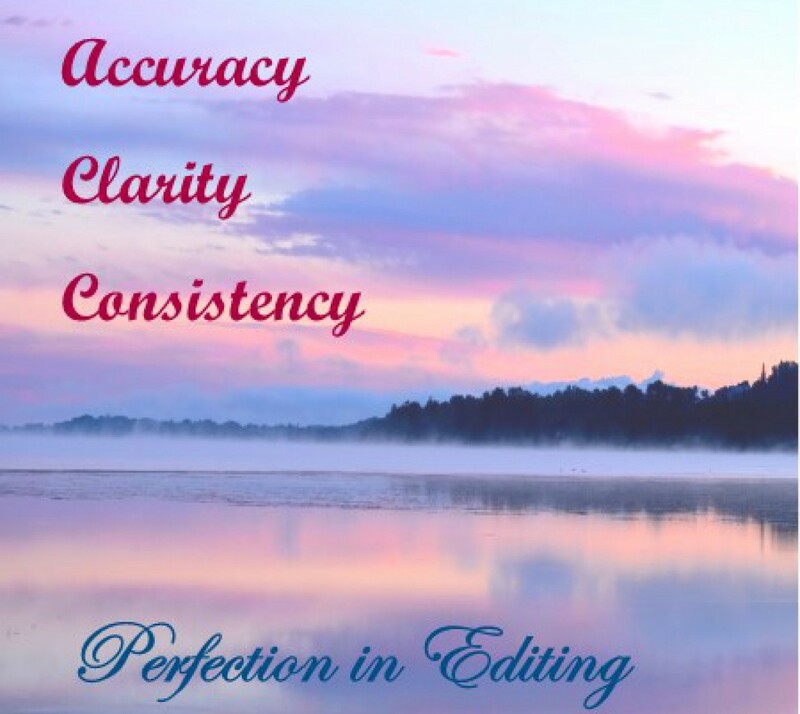 Editing and proofreading is a professional service that every writer needs … even if you’re an editor yourself. Trying to correct and find problems in your own work is limiting. You need that second opinion, that second pair of eyes to see what your mind might skip right over because the mind convinces the eye to see what it expects to see, whether that’s what in print/on-screen or not. Words and images in print or online are forever, and they can and will come back to haunt you! Typos, autocorrect, which can cause as many problems as it corrects by inserting an incorrect word just as often as the right one, especially synonyms like “rode” and “road”, aren’t the only concern. Awkward phraseology, verb tenses (an author’s nightmare–we think in present tense, but usually write in third-person past) can cause your reader to stop reading and move onto something else. There’s so much online to read! Some genres and authors, both fiction and nonfiction, are using first-person present tense, which was a complete no-no in the writing industry when I was educated and have worked for many years. But every decade or so, experimental “new” ideas surface that are supposed to be unique and alternative. Have you ever heard, “There’s nothing new under the sun”? It’s a very true statement. It’s all been tried before and much has not stood the test of time. Styles change and words emerge, but as an avid reader, author, and editor I constantly stay in touch with what’s new in the writing industry to keep my clients on-track and in-sync with evolving trends. Yet, nowhere are typos, misused grammar, misspellings, and unclear syntax an attractive addition to a written piece. The writing industry is more competitive and overcrowded than ever and that is going to keep escalating with technology. Write about what you care about, and just as importantly, care about the quality of what you write. Best Wishes on Your Writing Endeavors!